On 16 January, Lithuania’s Minister of Foreign Affairs Linas Linkevičius met with Miroslav Lajčák, Deputy Prime Minister and Minister of Foreign and European Affairs of Slovakia, Edgars Rinkēvičs, Foreign Minister of Latvia, and Keit Pentus-Rosimannus, Foreign Minister of Estonia, who are taking part in the Snow Meeting. The ministers discussed the situation in Ukraine, EU’s relations with Russia and the initiative of the United Kingdom, Denmark, Lithuania, and Estonia calling for an adequate response of EU institutions to aggressive Russian propaganda. Lithuania’s foreign minister underlined the need to support Ukraine and to promote the implementation of reforms in this country, as well as to adhere to a single position on Russia. 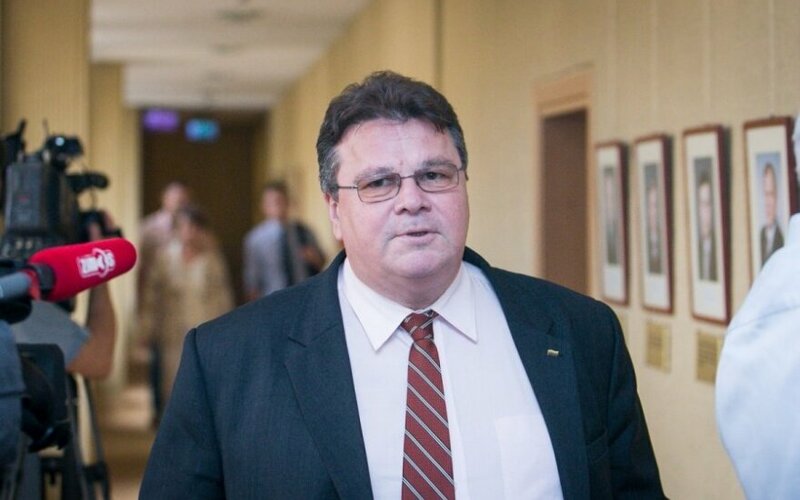 “Ukraine needs all kinds of assistance: humanitarian, financial and expert. There is a need for a consistent policy for the relationship with Russia. Russia has made no progress respecting the Minsk obligations, so there is no reason to ease the sanctions,” said Linkevičius. The minister also met with representatives of the United States presidential administration and the U.S. Department of State Celeste A. Wallander, Paul W. Jones, Michael Carpenter, as well as Mikhail Khodorkovsky, a representative of Russia’s civil society. On 15 January, the Snow Meeting discussed how to protect Western society and values from Russia’s aggressive efforts to redraw the map of Europe, how to set up the relationship between the West and Russia, how to help Ukraine, Moldova, Georgia and other countries to overcome Russia’s pressure and to continue pursuing Euro-Atlantic integration. The host of the event – Lithuania’s foreign minister - underlined the importance of united Western position and realistic thinking for addressing threats rising from the East. The minister also called on the participants to provide more support to Ukraine. According to the minister, allies and friends make use of such open and informal discussions to exchange ideas and insights, and to discuss security issues important to both sides. This strengthens the transatlantic community and allows for an adequate preparation to address the challenges. The Ministry of Foreign Affairs has organised the Snow Meeting for the eighth time already. The event that has gained international recognition brought together more than 60 well-known foreign and Lithuanian politicians, officials and experts. At the same day, Lithuania’s Foreign Ministry in cooperation with the Eastern European Studies’ Centre organized the Vilnius Forum of Intellectuals. On 16 January, the participants of the Snow Meeting and the Vilnius Forum of Intellectuals will continue their discussion in a joint event at the Merchants House in Vilnius. They will discuss Russian policy, a possible Western response, scenarios of Russia’s future and their implications on European security.